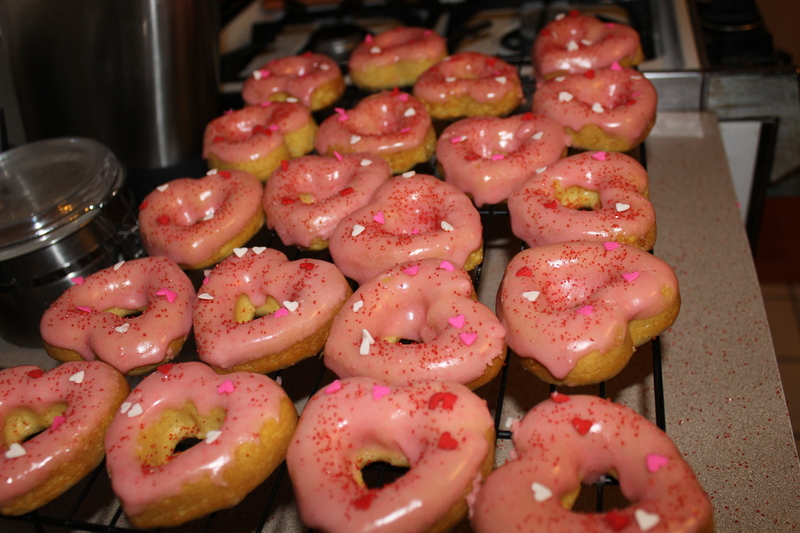 Just thought I’d share the sweet treats I baked up to add some festive-ness to the day – baked vanilla donuts with strawberry glaze. In case you’re wondering how I did it, you can find the recipe here. Beware though. 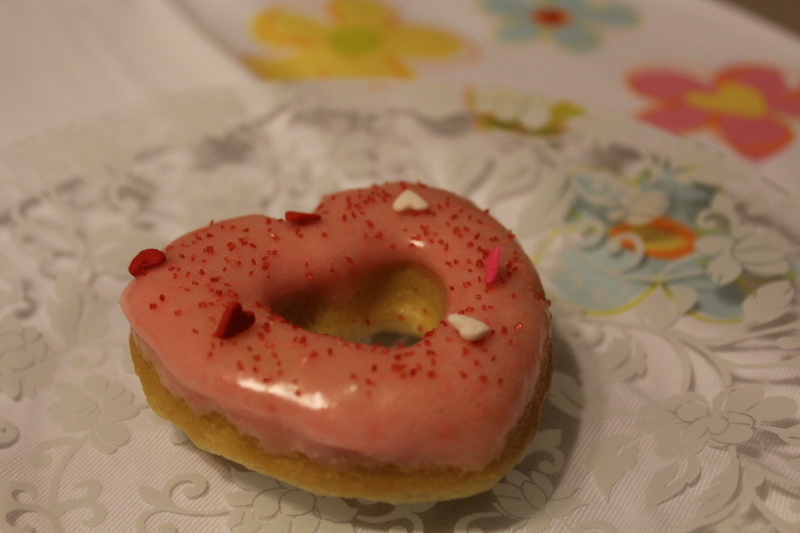 The recipe says it makes 8-10 donuts.